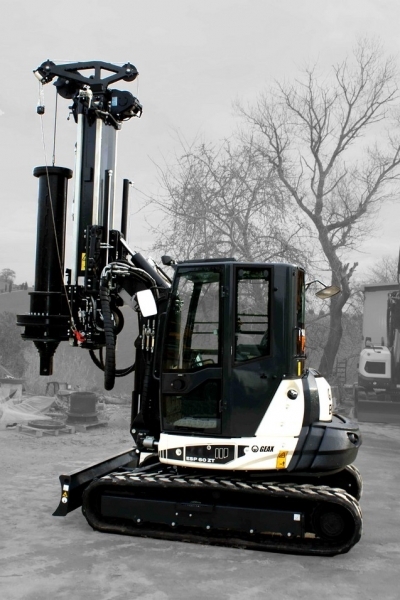 The DTC series was designed in 2006 in order to satisfy the growing market of compact piling rigs which stand out in maneuverability, ease of transport, and low maintenance and running costs. Its innovative architecture consists of a steel boom which support a monolithic mast capable of independent vertical translation. 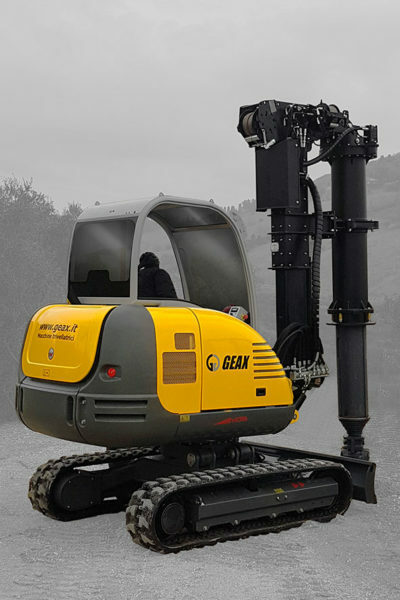 The new concept of a boxed steel mast, which interally contains the telescopic Kelly bar, allowing for a higher rigidity, better stability (the Kelly bar is closer to the crawler base compared to an external Kelly configuration), and a reduction of noise during the tool discharge. 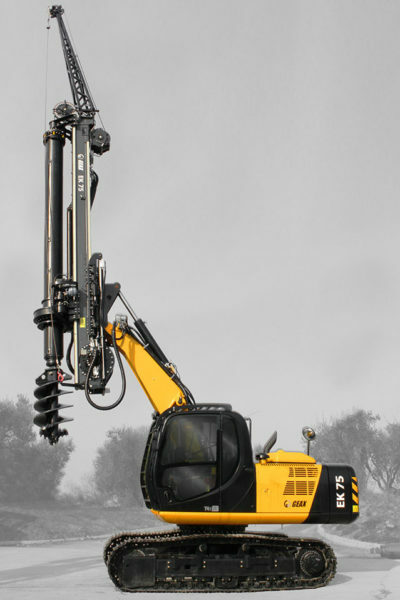 Other unique features include the possibility of a wide range of mast positions, with longer reach compared to a traditional machine, along with better visibility of the working area. 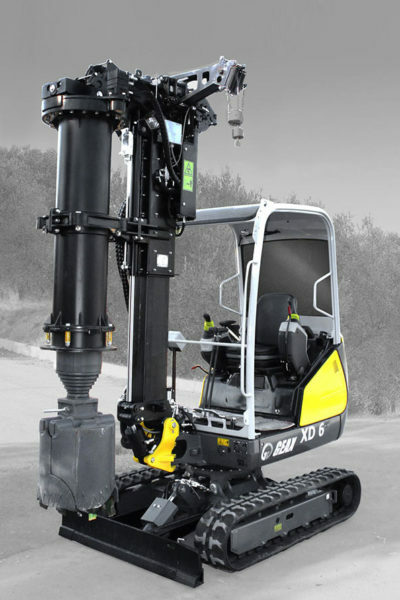 The winches, mounted directly on the mast, make the rope movements independent from the mast positioning, improving the easiness of operation and cables’ durability. 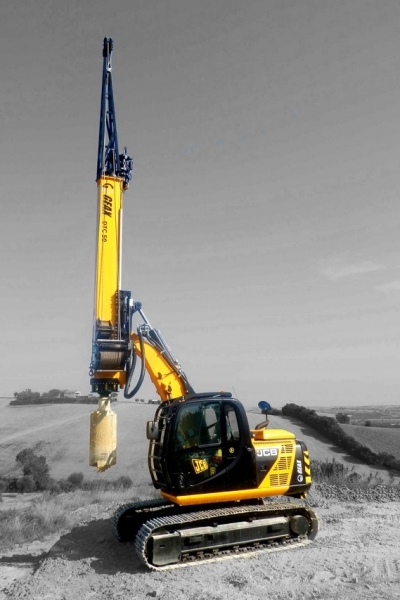 The DTC design choices ensure an overall lighter structure (at equivalent robustness) which permit the assembly on medium-small size excavators, leading to a significant reduction in costs. 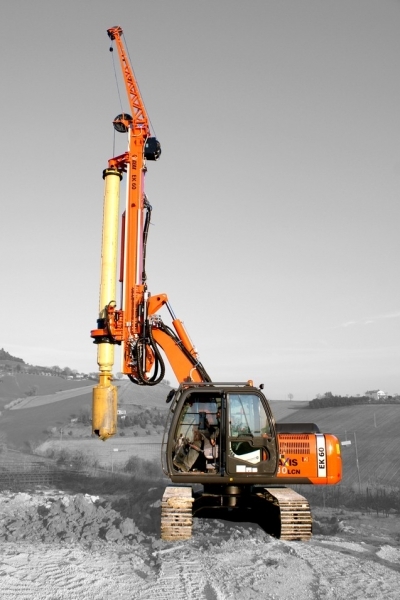 Furthermore, its compact size guarantees a superior agility in the jobsites, which results in high productivity comparable with much larger piling rigs. 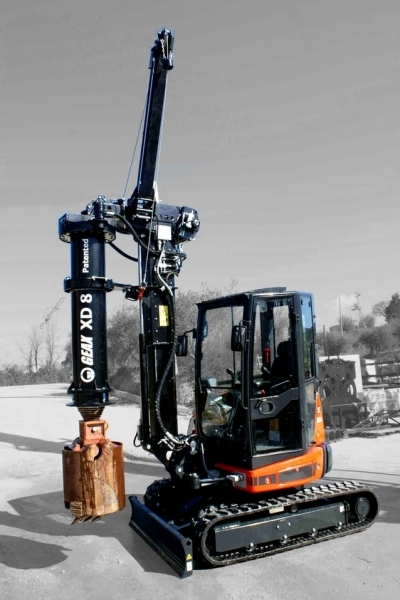 XD series machines are the smallest hydraulic piling rigs in the world. 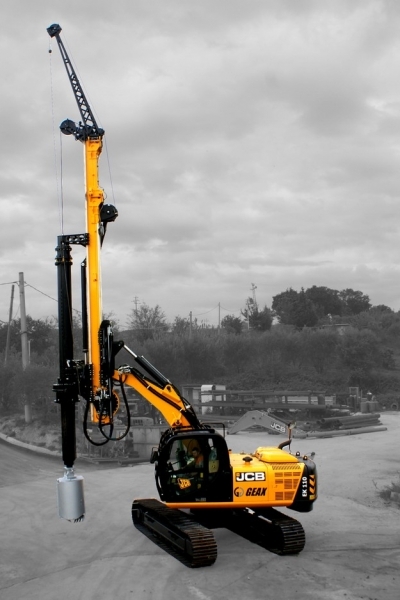 They are designed to work in extremely tight spaces, limited headroom, and jobsites difficult to access for any other standard piling rig. 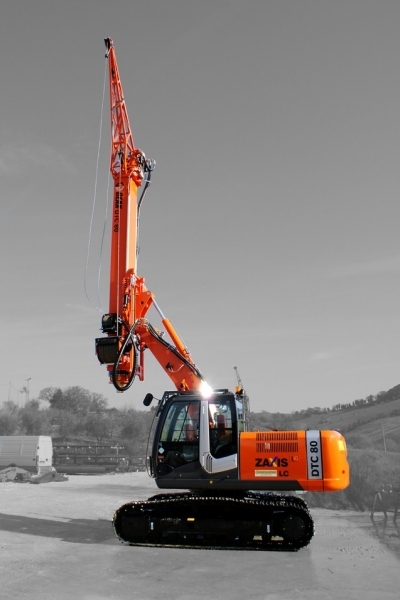 The minimum working height is 2.6 m (8.5’) and the minimum width 1 m (3.28’). 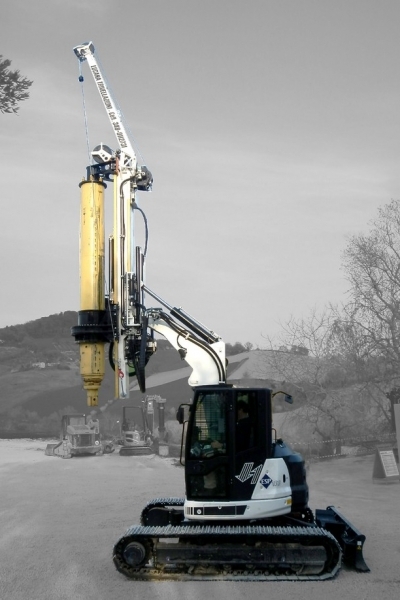 The patented drilling attachments include a rotary system along with a telescopic Kelly bar, mounted on the mast with a gimbal joint, which guarantees always a perfect verticality. 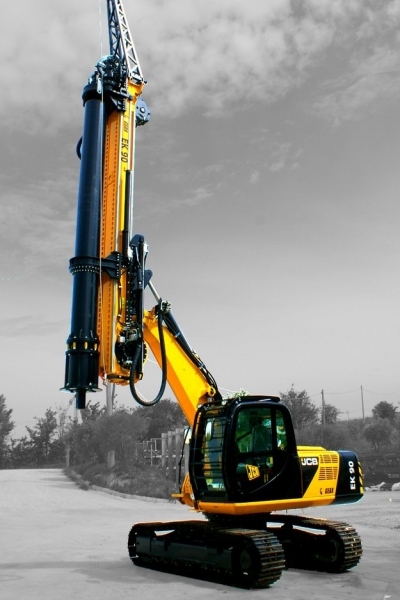 A hydraulic cylinder and the interlocking Kelly bar provide the crowd force necessary to overcome harder soils. 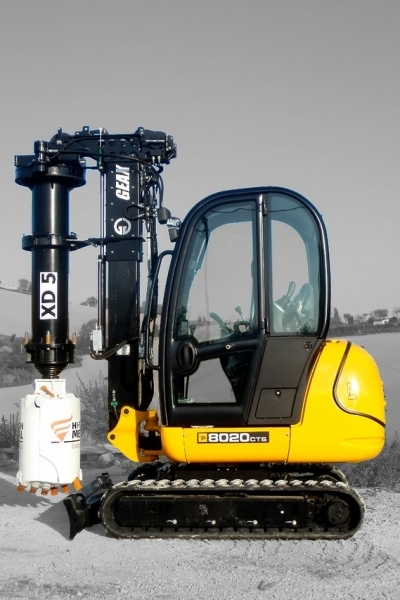 In addition, the XD series machines are designed to allow for a full conversion back to the original excavator functionalities in less than 30 minutes. 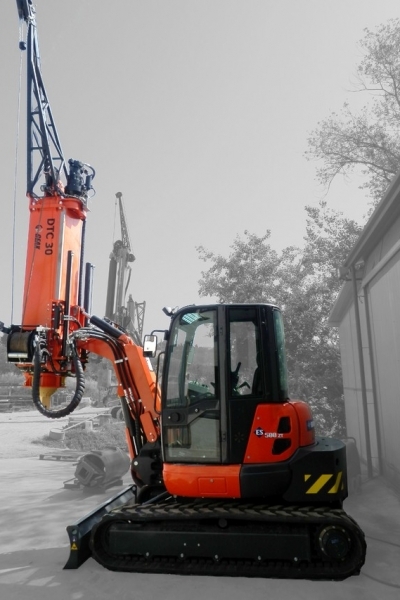 Despite the compact size, the XD series is equipped with all the features of larger rigs, such as auxiliary winch, depth meter, and hole-end limit switch.